According to recent estimates by the International Labour Organisation and Walk Free Foundation (2017) there are currently 40.3 million people enslaved globally. Many of these people are found within South Asia. My research in particular is looking at two industries within this region in which modern slavery is known to be a dominant part of the workforce. These industries are the brick manufacturing sector located within a region known as the ‘Brick Belt’ spanning from Punjab in Pakistan across the northern states in India and Nepal before reaching Bangladesh; and the fish-processing industry found within the UNESCO protected Sundarbans Reserve Forest, Bangladesh. Both are industries which are contributing to the destruction of the environment on regional and local scales, but whose impact can have far reaching consequences when considering the UN Sustainable Development Goals (SDGs) – a number of which directly refer to the protection of the environment, whilst target 8.7 references the eradication of modern slavery explicitly. The interconnected nature of the SDGs can be applied specifically to the relationship between modern slavery and environmental damage. Here, at the University of Nottingham, the Rights Lab (an interdisciplinary Beacon of Excellence) has brought together more than 100 academics from across the University to help tackle this issue and achieve the goal set out in Target 8.7. The research I am conducting is part of this work and uses a variety of remotely sensed satellite imagery to investigate the sectors from afar. Remote sensing is a great tool to use for the investigation of modern slavery – more research and practical applications for other human rights abuses are being investigated and solutions applied using satellite data; therefore there is no reason why modern slavery can’t be investigated in a similar way. There is now an abundance of satellite imagery available at ever increasing temporal resolutions and the spatial resolutions are also being enhanced allowing for more detailed assessments and applications in more urban environments, this is vital for the application of remote sensing to tackle industries which are known to use enslaved workers as part of their labour force. Enslaved workers being beaten by a slaveholder in a fish-processing camp in the Sundarbans Reserve Forest, Bangladesh. Image taken by Nasir Khan. So far, we have already estimated the number of brick kilns across the ‘Brick Belt’ (Boyd et al. 2018a) and myself and others have looked at the use of remote sensing for the investigation of modern slavery due to the application of the data and methodologies for other human rights abuses and humanitarian crises (forthcoming paper due 2019). The estimation has also been used as a form of training data allowing the production of a map by some of the academics working in computer sciences as part of the Rights Lab. The rest of my research looks at the interactions between modern slavery and the environment. This connection was first raised by Professor Kevin Bales in 2016 (see Blood and Earth: Modern Slavery, Ecocide and the Secret to Saving the World) and the discourse has since seen the investigation of climate change and industries which are known to use practices of modern slavery (see Brickell et al. 2018; Boyd et al. 2018b). 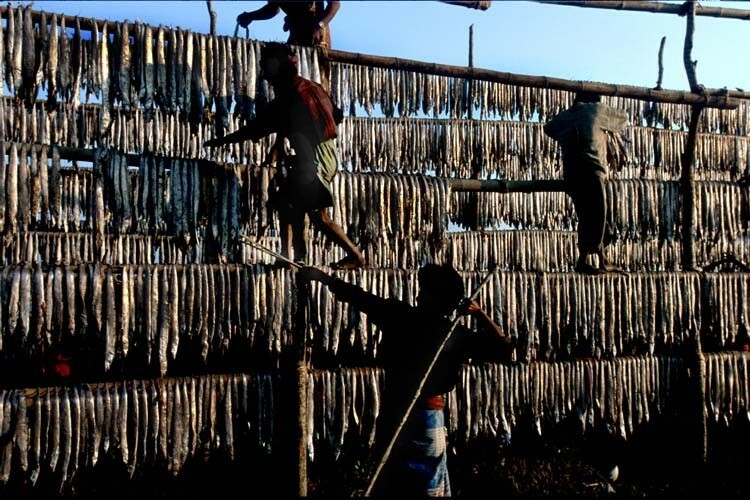 At present I have completed an environmental ecosystem services assessment of the fish-processing industry located within the Sundarbans. Alongside other academics from within the School of Geography, we have been able to use openly available satellite imagery from Google Earth and Landsat to establish the total area of protected mangroves which have been lost due to the presence of these camps, as well as provide an estimate of how long the camps have been established. This is important as it allows us to determine how persistent the damage has been, determine whether there has been any recovery of the mangroves and provide a monetary valuation relating to the land which has been lost. Moreover, through Planet’s (formerly known as Planet Labs) ‘Education and Research Program’ we will be able to continue monitoring these sites of interest – 10 were found in total across this region – into the future with access to data which has a spatial resolution of around 3m. Just briefly looking at the imagery available through the Planet platform it is clear there are also seasonal variations in the presence of these camps with most being dismantled and non-operational between April and September each year. This investigation into an industry which has been documented as using child workers (Jensen 2013) is important as not only is a protected ecosystem being damaged by the presence of modern slavery, but this also has a drastic impact on the lives of those trapped in these employment practices and also on the wider economy of Bangladesh. 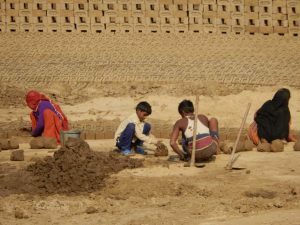 Four people (women and children) are moulding clay, by hand, into bricks in Rajasthan, India in December 2016. Image taken by Professor Kevin Bales. The final step my research is to investigate the environmental impact of the brick kilns found within the ‘Brick Belt’. Here, I will investigate the emissions that are produced (building upon the estimates provided in Boyd et al. 2018a), the scale of the damage to the environment which they are causing, and the possible solutions to this problem which may be implemented. This particular phase of my research is in the early stages and will assess the whole of the South Asian industry. Overall remote sensing has regularly been used within environmental assessments and is increasingly being used to investigate human rights abuses and humanitarian crises, it therefore makes sense to focus in on the interaction between modern slavery and environmental destruction, and in order to solve one we must end the other. 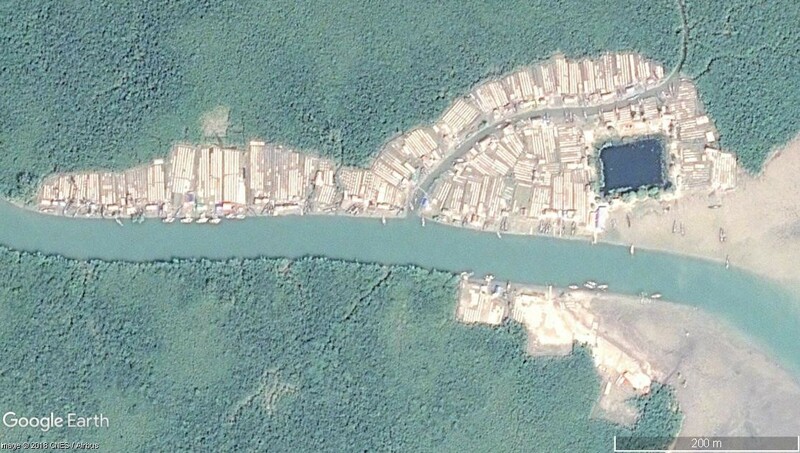 Image description: A satellite image downloaded from Google Earth Pro showing a fish-processing camp within the Sundarbans Reserve Forest, Bangladesh. The image was acquired 22.11.2016 by CNES/Airbus (using either their SPOT or Pleiades satellites) and provided to Google Earth for their geobrowser. Bales, K. (2016). Blood and Earth: Modern Slavery, Ecocide and the Secret to Saving the World. Speigel & Grau, New York. Boyd, D.S., B. Jackson, J. Wardlaw, G.M. Foody, S. Marsh and K. Bales. (2018a). Slavery from Space: Demonstrating the role for satellite remote sensing to inform evidence-based action related to UN SDG number 8. ISPRS Journal of Photogrammetry and Remote Sensing, 142,380-388. Boyd, D.S., K. Brickell, D. Brown, C. Ives, N. Natarajan and L. Parsons. (2018b). Modern Slavery, Environmental Destruction and Climate Change: Fisheries, Field, Forest and Factories. Rights Lab, University of Nottingham, Royal Holloway University of London and Independent Anti-Slavery Commissioner. Brickell, K., L. Parsons, N. Natarajan and S. Chann. (2018). Blood Bricks: Untold Stories of Modern Slavery and Climate Change from Cambodia. Royal Holloway University of London. Jensen, K.B. (2013). 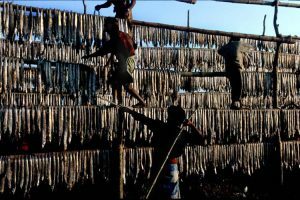 Child Slavery and the Fish Processing Industry in Bangladesh. Focus on Geography, 56 (2), 54-65. ILO and Walk Free Foundation. (2017). Global Estimates of Modern Slavery: Forced Labour and Forced Marriage. International Labour Organisation, Geneva.